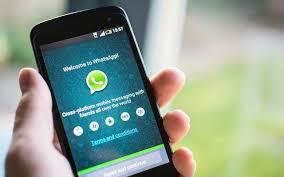 WhatsApp has released an update for its Android Beta app, after which WhatsApp has got the feature of Private Replay. With the help of new features, the user will be able to send private messages to a person in the group and the other members of the group will not be able to know about it. For the moment, this feature has been brought to the Whatsapp Android Beta app only. This feature is part of the 2.18.355 beta version. It is worth noting that some drawbacks have come up after this update. The news is that the Whatsapp is crashing while removing the media file from the group. In December last year, WhatsApp accidentally rolled out the Respawn Private feature in the beta update of Windows Phone. A few days after the Private Reply feature was removed, the beta version of Whatsapp was removed. Since then, speculations were being made that this feature will soon be made a part of WhatsApp. But around a year later, this messaging platform has rolled out the private reply feature for its Android beta user. This feature will attract people who want to send private messages to any person in that group during a group chat. Together they also want that all the members of the group do not know about it. In order to use the WhatsApp Private Reply feature, the user has to hold the message sent by the sender that has to give the private reply. After this, tap the three-dot menu that appears on the top right corner. This is where you will get the option of private reply. As soon as you choose this option. The message that you select will open as a reply thread in the private chat window. The first glimpse of this feature was found by WABetaInfo. Gadgets 360 also confirms that Private Replay is available on the Android 2.18.335 version of the WhatsApp app. To be able to use the Whatsapp beta app on your Android device, you need to be part of the Google Play Beta program. Otherwise, you have the option to download the APK file directly from APK Mirror. According to the report, there is a huge reduction in the update. If the user deletes certain media messages from the user then the app crashes. We were unable to confirm this deficiency with the latest update.